Khum Khantoke, The Lanna cultural attractions, is known as the reception room of Chiangmai province. It reserves the traditional Thai lifestyle in combination with traditional Lanna atmosphere. Why Khum Khantoke is special ? Khum Khantoke, The Lanna cultural attractions, is known as the reception room of Chiangmai province. 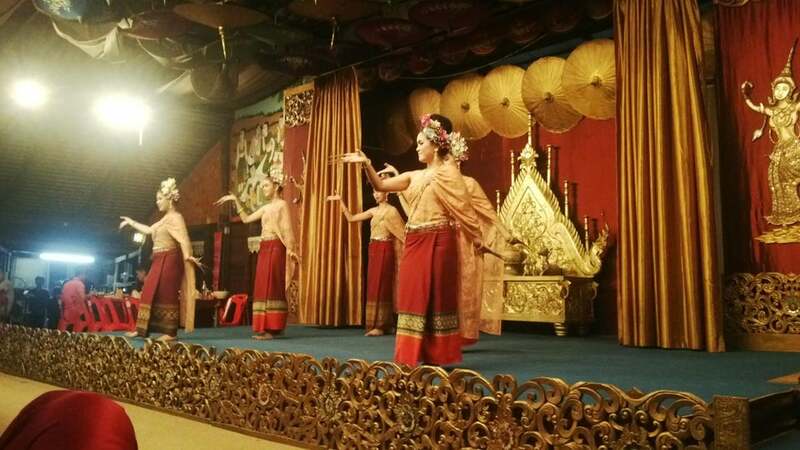 It reserves the traditional Thai lifestyle in combination with traditional Lanna atmosphere such as clothing, language , dining and performances under an exquisite and enchanted applied Lanna architecture that creates satisfaction among the visitors. 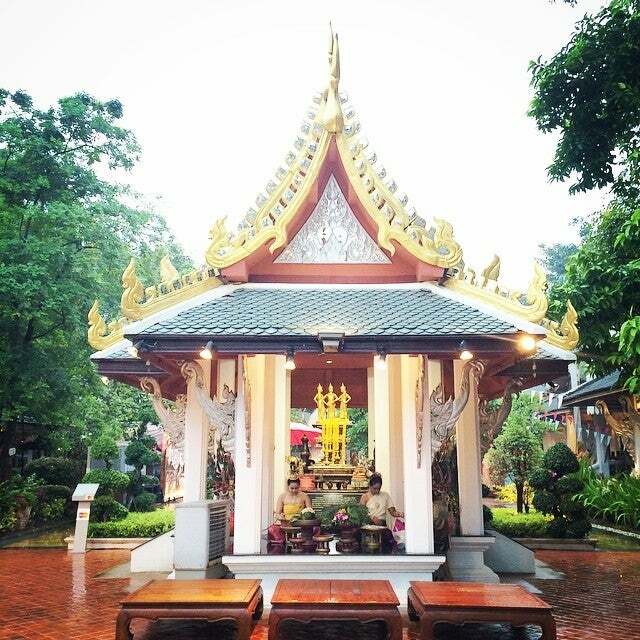 Khum Khantoke inaugurated on December 31st , 2000 by Mr. Wachara Tantranont , a native born of Chiangmai province. His gratitude towards his birth place enforces him to develop Khum Khantoke to preserve the knowledge of local culture and tradition for the future generations and to publicize towards the local and foreign tourist to be able to experience the cultural Lanna heritages. T.Nongpakrang, Muang, ChiangMai, divided the premises into sectors such as Laan Khantoke, Khuang Khon Muang, Ruen Thai Plub Pla, Orchid terrace (Laan Kluay Mai ) , Leelawadee room and Khum Kham. 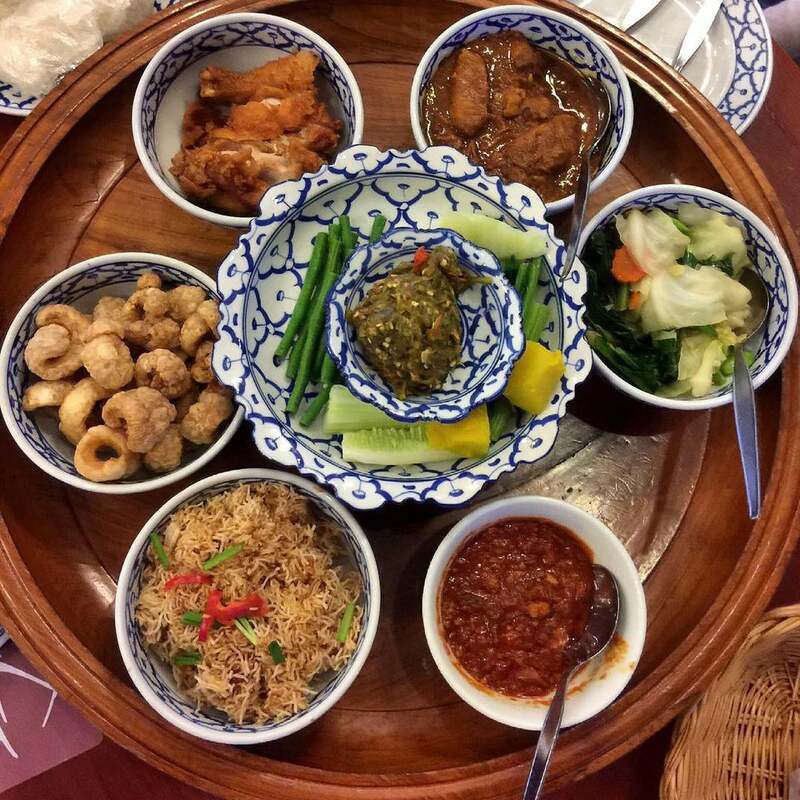 What to explore at Khum Khantoke? You get to sit sprawled on the floor on mats and triangular cushions while you feast. If this is not hedonistic enough, there will be distracting stage shows where the staff try to roll about on knives, dance with umbrellas and the like. After dinner, everybody gets ushered to a different part of the building with an outdoor theater. You'll walk by a few huts where elaborately dressed workers pimp their kids out to try to sell charms and souvenirs. Inside the theater you'll see 6 more performances. How to get to Khum Khantoke? It takes 26 mins driving from Chiang Mai International Airport. If you are still inclined to go bring mosquito repellent as there are millions of Mosquitoes there waiting to feast on you. You should bring your camera to caught the spectacular sightseeing. This place is closed at 14:00 and opened again 18:30. You should wear the comfortable shoes and clothes. I was warned by my guidebook that this location was a bit of a tourist trap. To be honest, it truly is but that didn't detract from the fact that they put on a great event for their guests. From the moment you arrive everyone is friendly and they request that you remove your shoes before heading to the seating area. 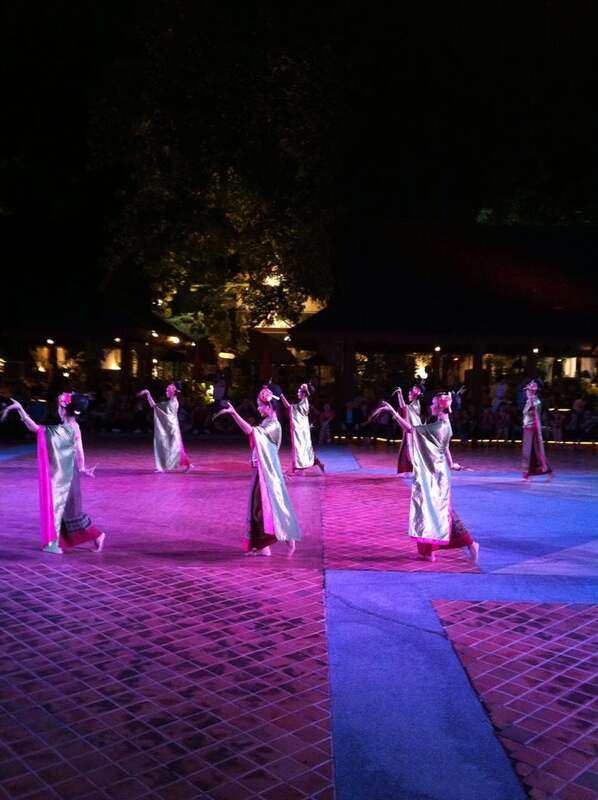 The show goes on for a while and features a variety of dances and costumes. It's a fun way to spend an evening. PROS: #1 They arrange hotel pick-up/drop-off with all reservations. #2 Your reservation includes quite a hearty dinner with traditional dishes. #3 At the entrance you have the opportunity to purchase a paper lantern which they light for you and you can release. For a minimal cost guests have the opportunity to release as many as they would like. CONS: #1 They seat you on a rug directly on the ground. There are cushions available for everyone but for the most part it can get pretty uncomfortable. My back started aching after a short while. #2 There are quite a few performances and while they were all entertaining, the night started to get long. Around an hour or so people started to leave. RECOMMENDATIONS: #1 From pick-up to drop-off the evening can last around four hours. Don't make my mistake and visit when you're still jet lagged. #2 It became a circus once the show was over with people trying to locate their driver. If you don't want to wait it wouldn't hurt to request a taxi before the show ends so you can avoid the crowd. Make sure they inform your driver that you're leaving early as drivers WILL NOT leave until everyone is accounted for. #3 While the festivities are family friendly, I wouldn't encourage anyone to take their young children. Babies are okay because they can just fall asleep in your lap but it may be a bit too much for active toddlers and older. The show goes on for 90 minutes or more and I didn't make it back to my hotel until around 11PM.